Entering an old photo for Mundane Monday Photo Challenge #154 with KO. 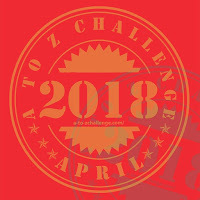 (You might have seen the same image at low resolution as a screenshot of my photo in my A to Z Challenge response post for the letter E yesterday to accompany my text there). I was wondering on placing objects to draw against or around previously made artefacts (i.e. a painting or drawing or needleworking fabric). That would make for ‘Expressions of Endearment’ if I chose those items of sentimental personal value as background or setting along with other objects of personal significance, whatever they might be at the time. I snapped a skywatching photo during the earliest part of my day on Monday 26th that happened to be afternoon (snapped from my upstairs loo open window while unable to get dressed and get down & out enough to do skywatch snapping better). I thought I’d post this photo in case there’s not a challenge prompt this week. I’ve not been remembering often enough to add alt text to my photos. A few years ago now I attended a half-day workshop at our local city art gallery for training in describing for the visually impaired. I wonder if my descriptions of photos are adequate for visitors who might rely on screen reader photographic description so I’ll be looking out for some guidance and appreciate any tips or pointers. My alt text for this photo says: a mundane photo taken after noon on a day in early Spring, 26th March 2018. The photo shows a line of treetops against a light blue sky with billowing clouds in the distance and a low grey cloud to the right of the picture beneath which, in the lower right corner, a section of two rooftop chimneys appear in silhouette behind a nearby tree and it’s still bare branches. I wonder if that’s an adequate description, or if it’s too much? I could have described my photo as ‘blue sky, clouds and tree tops’. When I’m exhausted sometimes that might be as good as it gets and maybe better for an alt text. Maybe describing my photo as if an art object isn’t best practise. I’ll have to learn more about these things. And I know the date the photo was taken might not seem like relevant detail. But what if a person with visual impairments pauses the screen reader and explores the page and so missed the detail in the body of the post. Do such things really matter while it’s so highly unlikely that visually impaired visitors might ever arrive here? Not until we’re all in our seventies or thereabouts will 70% or more of us be visually impaired. Will we still be bothering with internet technologies by then? I’ve a feeling if I’m around and capable enough I might be, at least to a small extent, providing such a thing still exists. If I can’t see so well by then, maybe I’ll be the only person in the world to ever be thinking thank goodness for my alt text description, I remember that photo so clearly now. Maybe that’s the approach I’ll take, just in case… Even if it’s selfish of me.